Homes are the most interesting of spaces to me. They’re different than hotels. Different than our places of work. Different than even the chicest of ‘grammable eateries. They’re not only a reflection of our style and what’s important to us, but they simultaneously serve the most utilitarian of purposes, too. 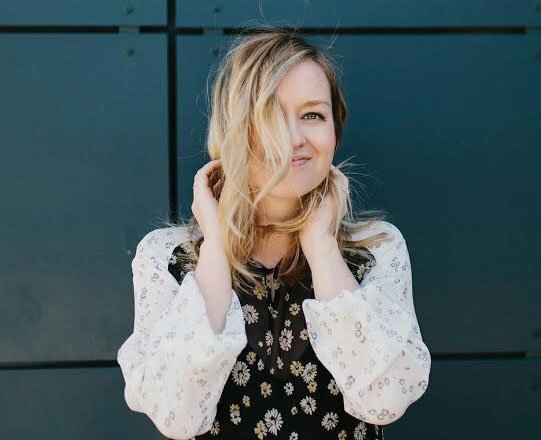 They serve as a place of refuge, a place of connection, and a place where we will likely spend the majority of our time. We spent the better part of 2016 and all of 2017 designing and building our home here in Austin and now that it is complete, I have been thinking a lot about how I want to be able to create spaces for other people in our community. I haven’t known exactly what that would look like, but we hosted a giveaway on a whim and found our winning bathroom and her owner, Amanda. A few weeks later Delta® came along and asked if we would be interested in partnering on a bathroom space. I couldn’t say yes fast enough. You might remember that we installed Delta fixtures Parker and Ever’s bathroom and also in our guest bathroom downstairs. 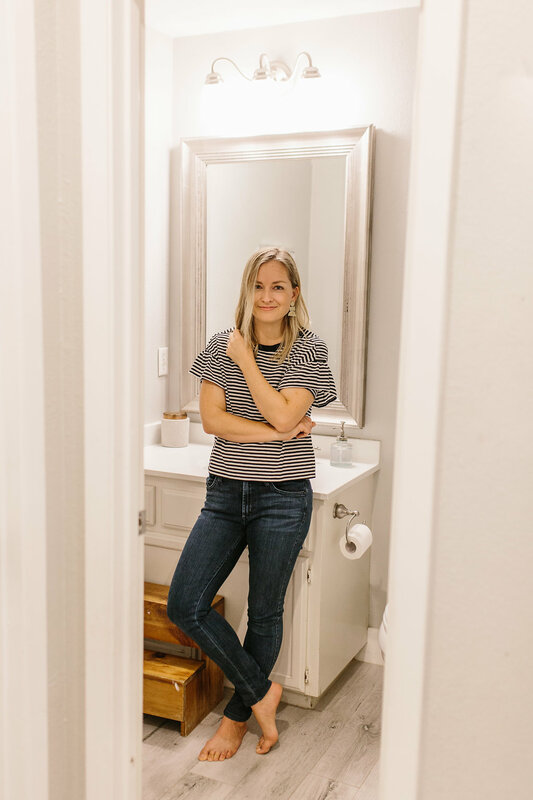 We love them and I knew this was the perfect opportunity to introduce the Delta Trinsic® Collection that we love so much to Amanda and her new bathroom. It may be the 11th largest city in the US, but Austin still feels so small. It turns out that Amanda and I have a handful of mutual friends. She lives in the north part of the city with her husband and their three young boys. 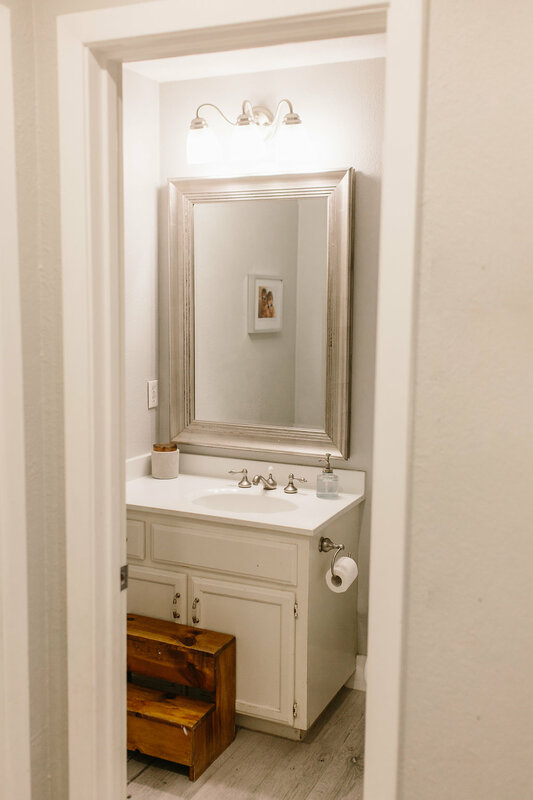 The home was built in 1978, but they remodeled the kitchen and living area when they first moved in, leaving this small 70 square foot bathroom that the kiddos share for “another time”. Upon walking into their home, their penchant for bright, airy spaces is obvious and makes me instantly happy. You can tell it’s a joy-filled home. 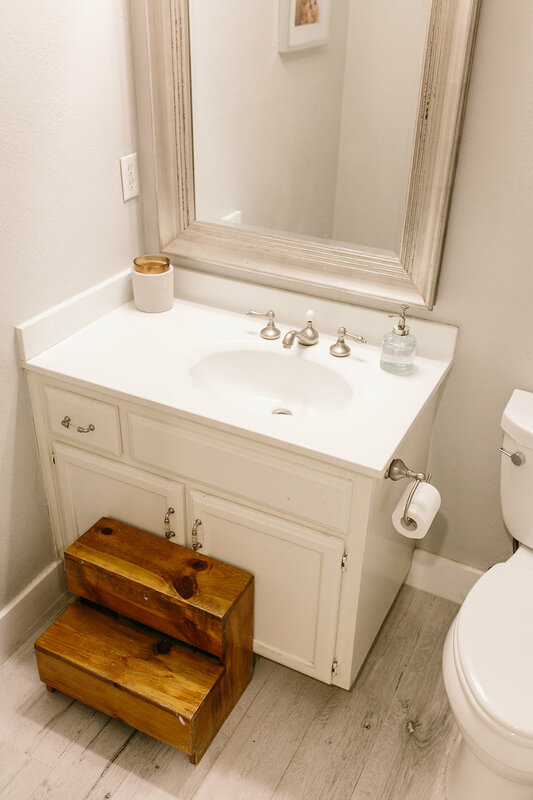 When I think about this space and how the Delta Trinsic Faucet will fit into our mini-update, I think about her three boys and how they will use the space, brushing their teeth and probably drenching the floor with water during bath times turned wrestling matches. They will bring the fun. I want the bathroom to bring the calm. The faucets will bring not only style, but quality parts that will stand up to the test of three brothers. We chose the Chrome finish for the Delta Trinsic Faucet. The Champagne Bronze simply wouldn’t work for this bathroom and the matte black felt too dark and contrasted towards the light and airy affect we were going for. Chrome feels like it’s having such a moment and one that’s going to be around for a while. 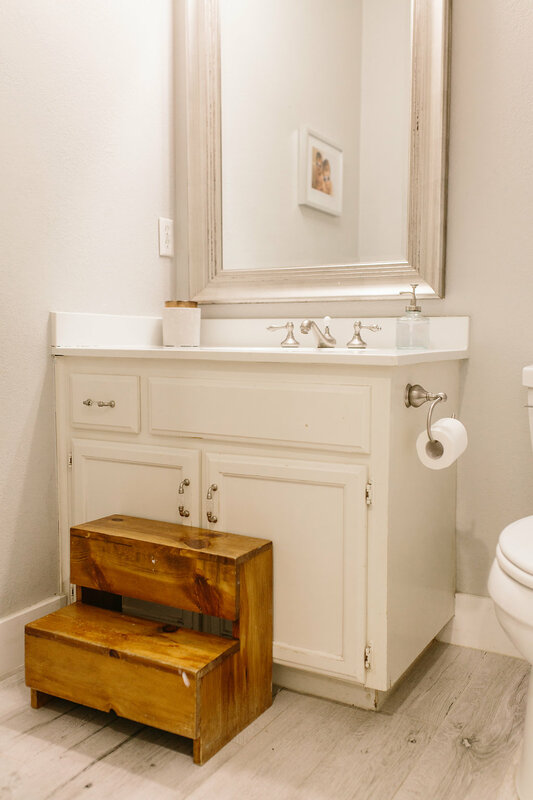 It feels fresh and neutral and perfect for this bathroom. What else can you expect from this space? A new Room & Board vanity that is mind-blowingly beautiful. In case you’ve never had to source a vanity, let me tell you that good ones are so hard to come by. My only regret is that these didn’t exist when we were doing our bathrooms. Also finishing out this space will be classic 3 x 6 subway tiles in the sugar color way from Fireclay. 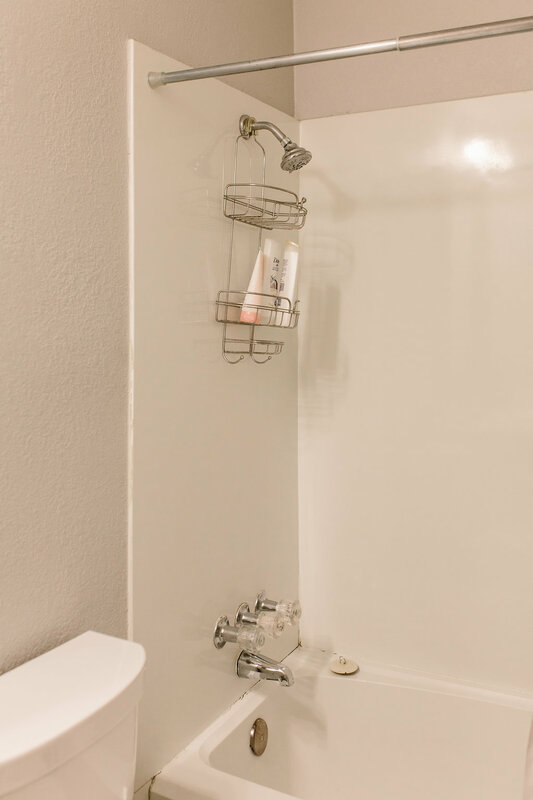 Once we started on the makeover, Amanda and her husband actually decided they wanted to demo the existing bath tub and replace it with a new one and a glass enclosure, so this simple update is fast becoming a full renovation that I couldn’t be more excited to share with you. 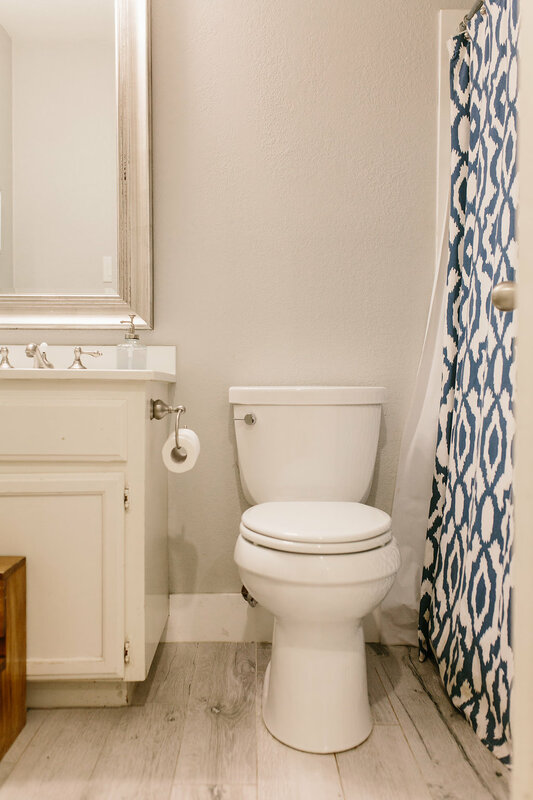 Have you been through a recent bathroom renovation? Any tips or tricks you learned along the way? So excited to see how it will turn out!